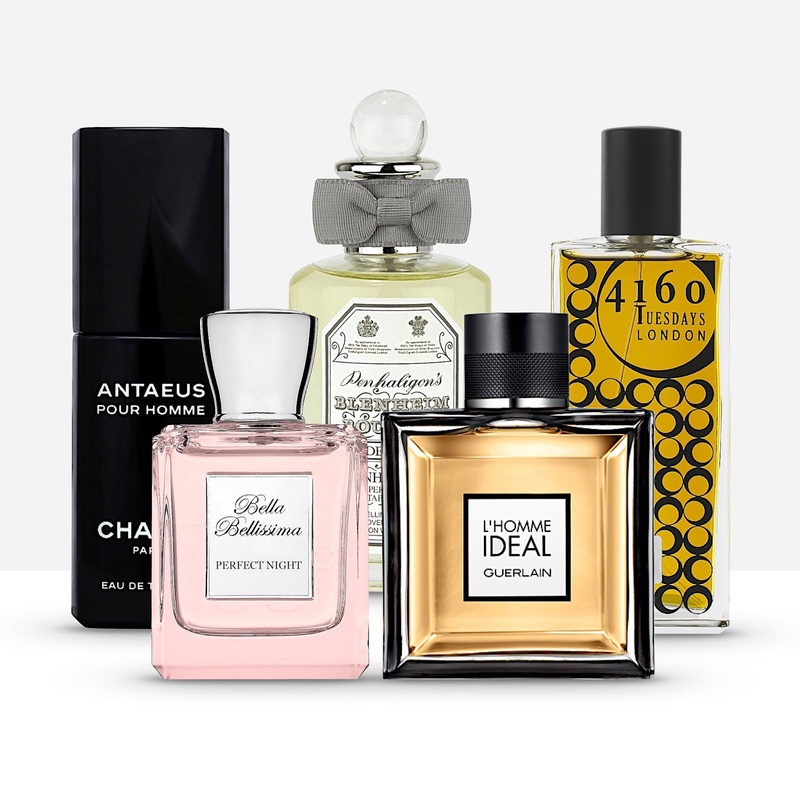 When it comes to recommending fragrances for Valentine’s Day it seems that the emphasis is well and truly on gifting for ladies rather than gifting for men. Many magazines will choose their favourite women’s scents but what about those that need to buy for the man in their life? Well, this year I’ve chosen five scents for you to pick from and, with three of them available on the high street, there’s easily something for everyone. None of these are technically “new” releases, but they might be new to you. So, for Valentine’s Day 2019, it’s time to say hello to Guerlain, Penhaligon's, Bella Bellissima, Chanel, and 4160 Tuesdays. It’s always guaranteed that you’ll find the big companies well represented in any of the recommendation lists on “special shopping days” and that is why I’ve given two spaces over to niche houses in this one. Bella Bellissima and 4160 Tuesdays are both fantastically creative brands, and they’re both steered by very talented perfumers. They’ve made my list simply because I think that they are great fragrances and definitely deserve to be more widely known. Also, I regularly wear both which is why I’m so happy to recommend them. So, in no particular order, here are my "Scents for Gents." L’HOMME IDEAL EDT by Guerlain - Created by Thierry Wasser in 2014, this woody aromatic has notes of bitter orange, rosemary, tonka bean, and leather. Guerlain’s first mainstream male release since 2008, the original EDT will have your companion leaning in for more. L’Homme Ideal is available from high street stores priced at £52 for 50ml. BLENHEIM BOUQUET by Penhaligon’s - Created in 1902 by Walter Penhaligon, this citrus aromatic has notes of lemon, lavender, pine, and black pepper. Originally commissioned by the Duke of Marlborough, this classic cologne is invigorating and timeless. Blenheim Bouquet is available from Penhaligon’s stores priced at £78 for 50ml. PERFECT NIGHT by Bella Bellissima - Created by Bella Crane in 2007, this sexually charged spicy oriental has notes of grapefruit, incense, vetiver, and labdanum. Inspired by provocative adventures and carnal thoughts, this “female” fragrance is wonderfully “masculine”. Perfect Night is available from Selfridges and Fortnum’s priced at £70 for 50ml. ANTAEUS by Chanel - Created by Jacques Polge in 1981, this beast of a woody chypre has notes of coriander, jasmine, castoreum, and oakmoss. Inspired by the Greek God that drew strength from the earth, this fragrance is not for the fainthearted. Antaeus is available from high street stores priced at £57 for 50ml. DARK HEART OF OLD HAVANA by 4160 Tuesdays - Created by Sarah McCartney in 2013, this deliciously spicy oriental has notes of peach, tobacco, coffee, and vanilla. Inspired by debauched nights in Cuba, Men’s Health Magazine described it as, “the best for Tinder dates.” Dark Heart of Old Havana is available online and from select stockists priced at £80 for 50ml.